I have long recommended Legacy Family Tree to my friends that have Windows. Their product only operates in a Windows environment. On a Mac that means you need to run Parallels, CrossOver, VMWare, or something similar that allows you to run Windows programs on a Mac. I used VMWare for a year or two when I switched to Mac. It allowed me to run all of my legacy Windows programs on my new Mac while I converted to using Mac programs. That way I didn’t have to replace all of my software all at once. I upgraded my Mac to a newer OS (operating system) a couple years later and found that my version of VMWare didn’t run on that updated OS. I had to do a paid upgrade of VMWare to continue using it or drop it. I only had one Windows based program remaining and buying a new Mac version of that program was less expensive than upgrading VMWare. If you have a Mac, have a Windows running program, and are used to Windows programs, I still recommend Legacy Family Tree as a solid solution to your Family Tree Maker for Mac dilemma. The president of my local chapter of the Maine Genealogical Society posted a sales notice regarding Roots Magic. I have long heard good things about Roots Magic. I went to their site and saw it was on sale for $20 instead of the regular $44.90 price – A sale too good to pass up. They also indicated they have a new Mac Version. I’m not big on “free” versions of software, so I bought the full version, installed it, and ran it. I quickly found out it isn’t an actual Mac version; rather it uses CrossOver as a Windows environment emulator. As such, it works like Windows software and not like Mac software. I opened one of my smaller trees in Family Tree Maker for Mac and exported to a GED file. I then imported it into RootsMagic 7. Then I walked through each of the menu options and looked at what my options were. Some of the options I really liked, such as identifying the married name for a woman. Some of the options I didn’t understand, such as “general source, an individual source, and a family source. Some of my work didn’t import as I expected, for example my “to do” tasks, but I expected that. Those minor shortages were overcome by the some of the really cool features, such as generating the files for a website and creating a shareable CD. As I expected much of my data was all over the place. I had descriptions in locations and many other problems. All in all, it will take a long time for me to clean up all of my files, sources, places, and individuals — A very long time. I was looking at the Media gallery and under tools, found “fix broken media links.” I found the disconcerting Windows type of file system. The prompt didn’t allow me to select any directories so search so I had to search an entire drive. Not cool. I let it run for several hours and it seemed to have locked up. I gave up and hit cancel. It did give me the option to import what it had found thus far. Therefore, I was able to import 80 of the 133 media items that I had in Family Tree Maker for Mac. That said, I’m not positive if the 53 missing items were because of RootsMagic or because my Family Tree Maker file had already started corrupting – Probably the latter. I adjusted the fonts and other settings to make it better for me and used it for a couple days. Roots Magic is a complicated program and I just couldn’t get the hang of it. There were times I felt like the tail was wagging the dog. That is to say, it seemed that the software was driving what I needed to do rather than my workflow being able to be documented easily by the software. Using Roots Magic really helped me understand how I like to work. 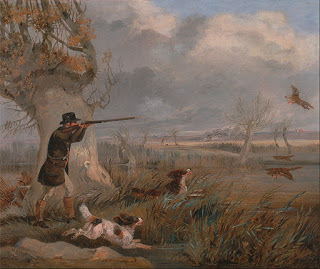 As I mentioned in a previous blog posting (Jump Hunting and the Maine Register), it is like jump-hunting ducks. I decide where I’m going to go hunting, go there, and “bag” the available information. Then I clean it, cook it and eat it – analyze the information, extract the information, and incorporate it into my family history. I don’t like to eat things I don’t know where they came from. Likewise, I try to have every fact, event, and story in my family history clearly documented as to the source. The bottom line is that after a couple days of working with Roots Magic 7, I just could not learn to love it. I can definitely see why many others use it, but I just couldn’t fit my jump shooting stratagy into it’s use. Between the complexity of the software and the Windows interface, I decided to abandon my Roots Magic test and begin my search for a Family Tree Maker for Mac replacement once again.